Unevenness of the alignment of his teeth, especially with his front teeth. William is originally from Puerto Rico and New York. He is an acclaimed dancer, entertainer and was featured on X-factor as well as the Colgate commercial this year. With William being in the entertainment industry, he was not happy with his crooked teeth and always felt self- conscious of his smile. 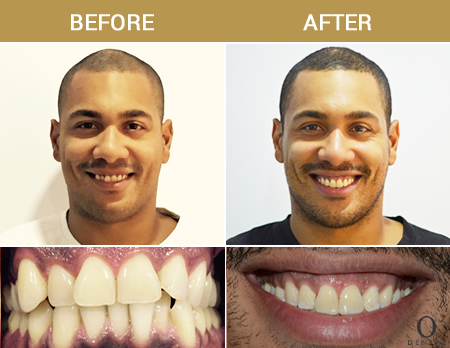 He went through Invisalign® treatment in just under 18 months to correct her crooked teeth on both the top and bottom. William was thrilled with his new teeth, especially as they were ready just in time for the Colgate commercial where he was featured.